The schedule for BlizzCon 2018 has been revealed, confirming what we already kind of knew: there's big Diablo news coming next month. Blizzard will be taking to the stage not once, but twice to talk about the franchise. The first panel is scheduled to take place right after the convention's opening ceremony, which says a lot about how important it is. 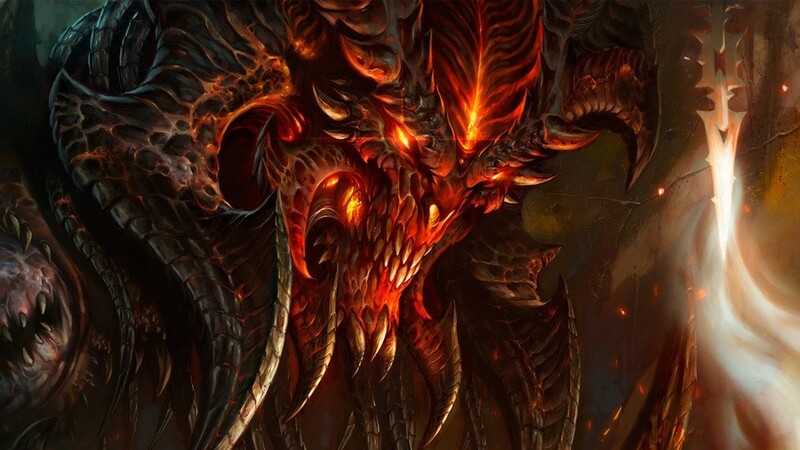 The panel itself will be called 'Diablo: What's Next', naturally sparking even more speculation about the seemingly inevitable Diablo IV. This is all happening on the 2nd November. The second panel is set to start a day later, and will cover Diablo in general. It'll finish off with a question and answer session. So yeah, Diablo fans will definitely want to keep an eye on BlizzCon next month, but what are you hoping to see? Unleash hell in the comments section below. I could maybe see an 'Act VI' expansion for Diablo 3, as well as a teaser for Diablo 4. I'm probably super wrong - and definitely out of the loop - but whatever it is, it's big news. I'm so ready....all I request at the moment is a console launch at the same time as pc.... please. I'm really looking forward to seeing what's in store. I recently replayed Diablo III with a seasonal hero and it's still one of the best games on PS4, in my opinion. So good. @ShogunRok I start every season, the first couple weeks still provide a ton of fun, I've put way over a 1000 hours into that game. Definitely all time top 5 at this point. Diablo 3 RoS has been around for a while now. They kept the seasons going but nothing more and they are probably going to release something new to make some big $$$. Hopefully they won't go through the vanilla D3 fiasco with the auction and real money trading. I'll definitely wait for some feedback before buying a new diablo. If it’s Diablo IV, I’m in. PLUS the new feature, "time-walking", that will allow you to replay Diablo 1 and 2 with your existing Diablo 3 character. PLUS new character class "Merchant". PLUS a new side quest where you and Malthael become besties. Possibly a remake of Diablo 1/2. Diablo MMO. If you say this is stupid and not possible, look at WoW Warcraft did not start as an MMO nor did people expect it to become one. Or Diablo 3 expansion. I hope it's not this one, I love 3 to death but it's been run into the ground like a dead horse. Love a bit of Diablo, fingers crossed it's an announcement for the next game. Diablo 2: LoD Patch 1.15, or reversed one back to good old 1.09, where Amazon with Buriza Do-Kyanon Balista and Shaftstop+Gaze was everything!